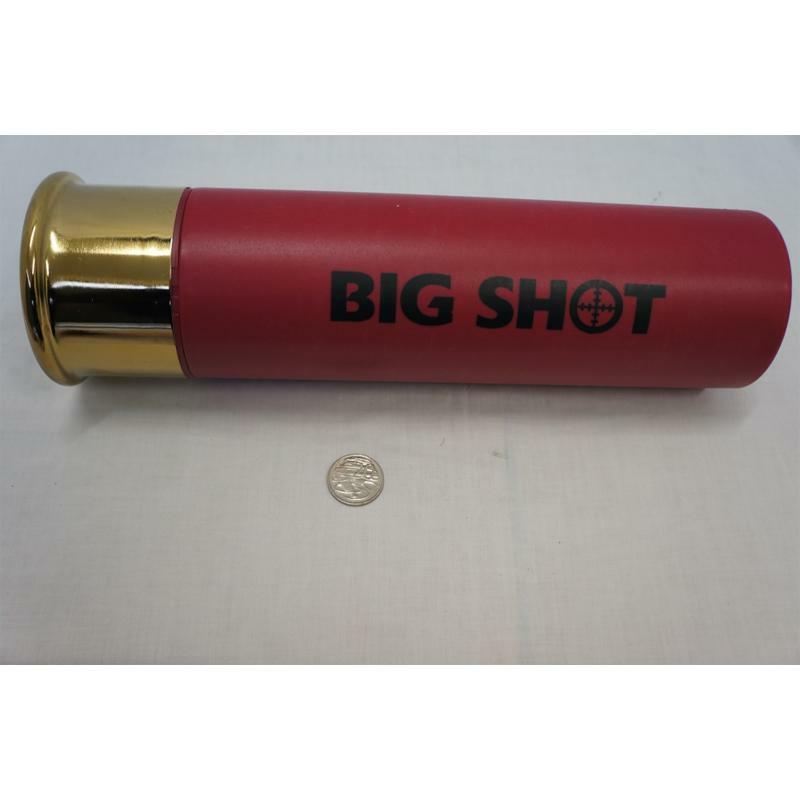 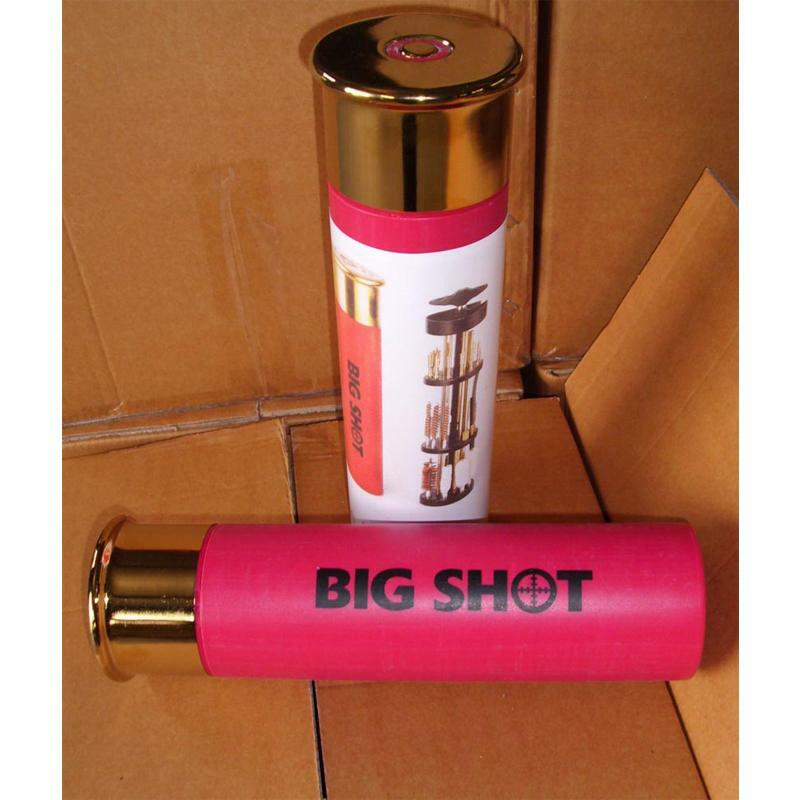 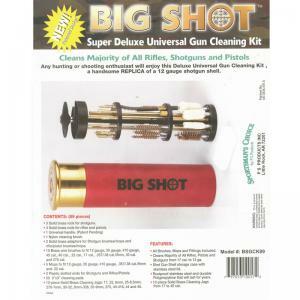 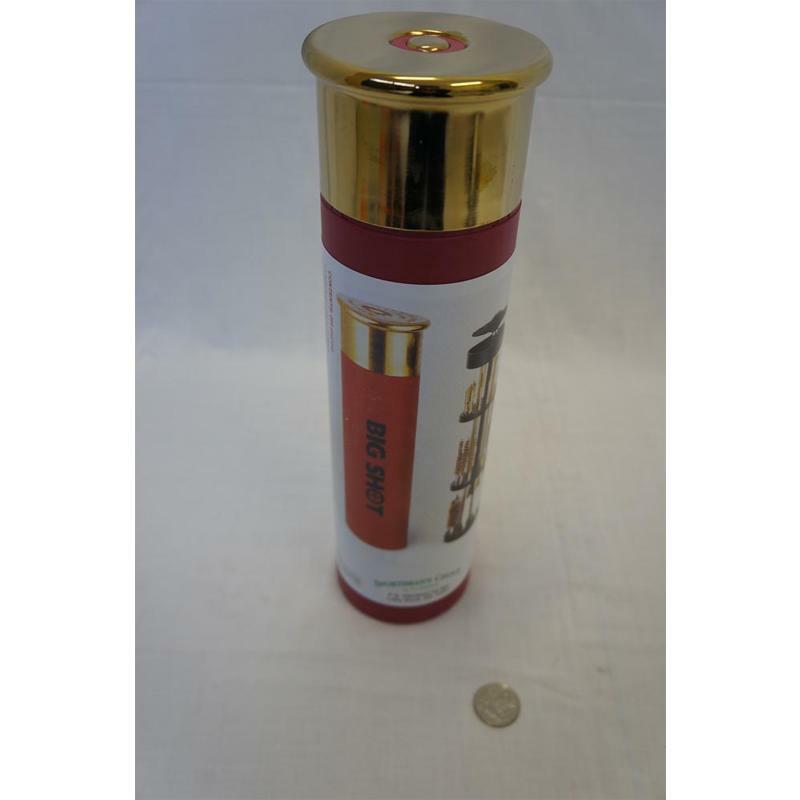 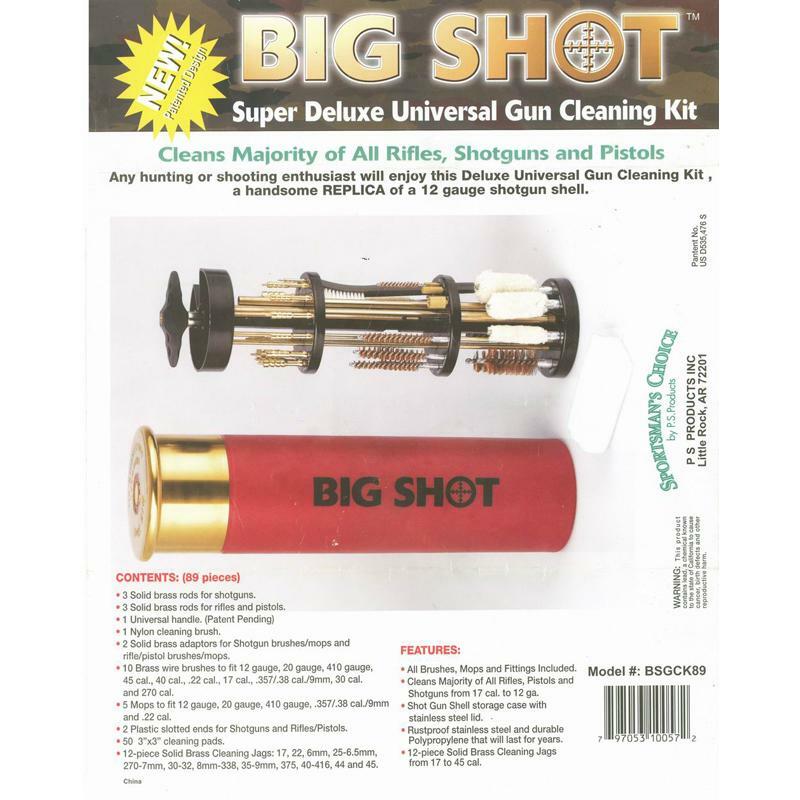 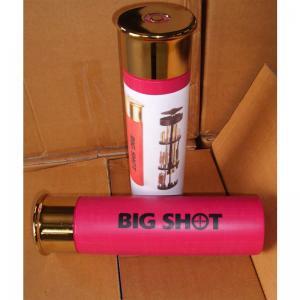 Cleans Majority of All Riﬂes, Pistols and Shotguns from 17 cal. 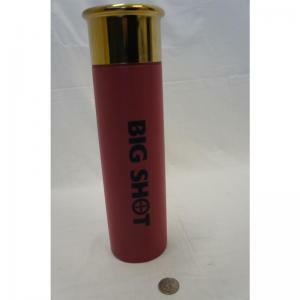 to 12 ga.
Rustproof stainless steel and durable Polypropylene that will last for years. 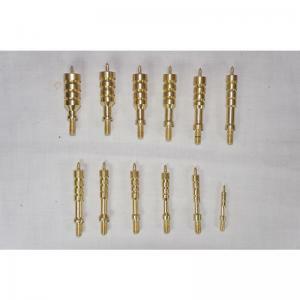 12-piece Solid Brass Cleaning Jags from 17 to 45 cal. 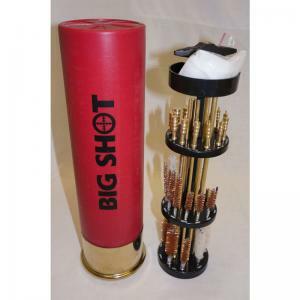 3 Solid brass rods for shotguns. 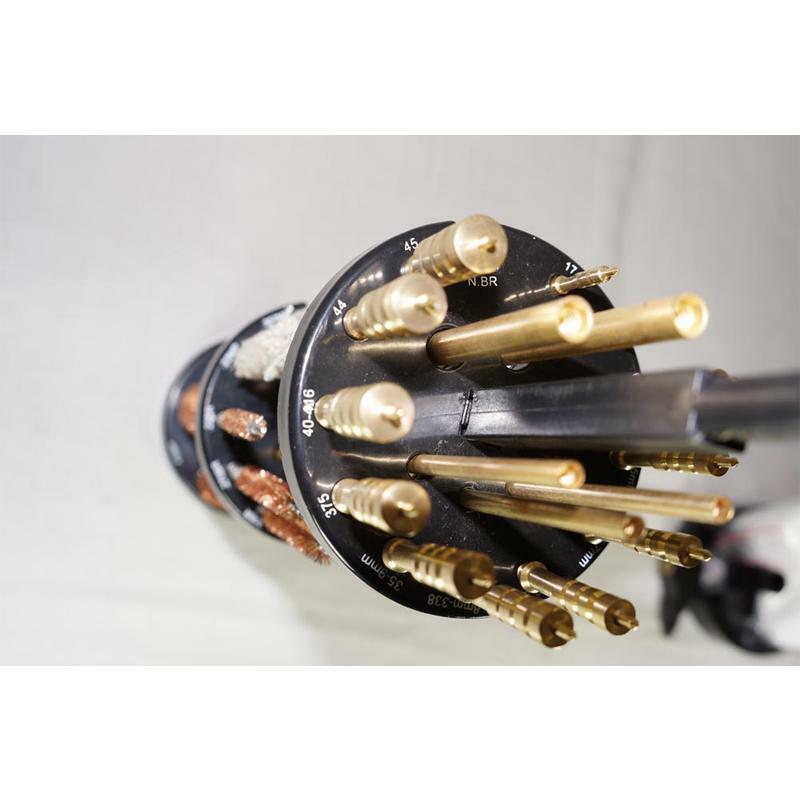 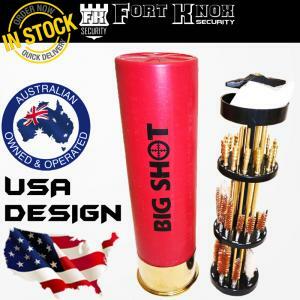 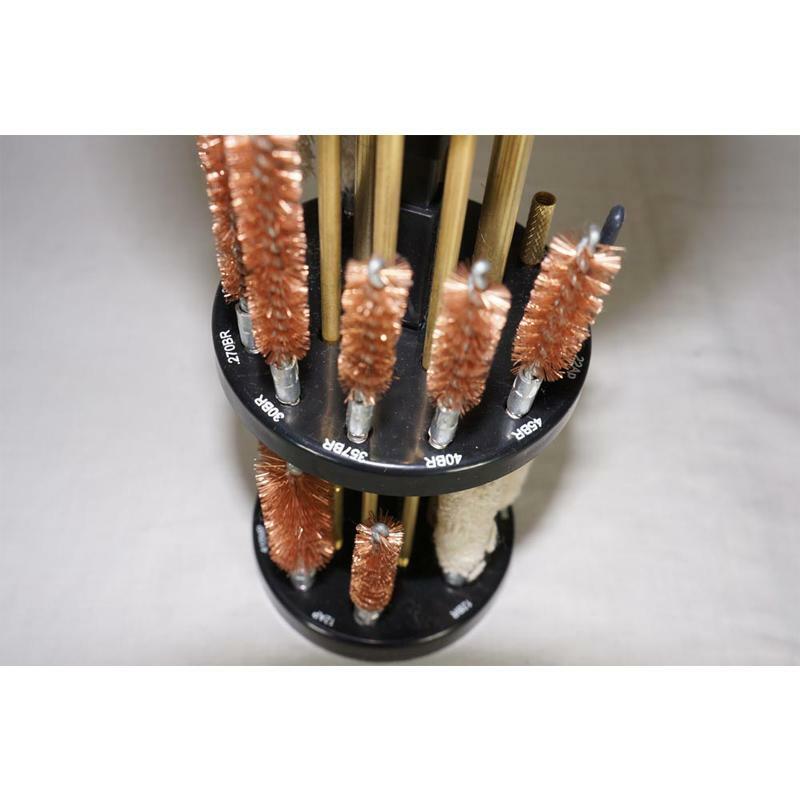 3 Solid brass rods for riﬂes and pistols. 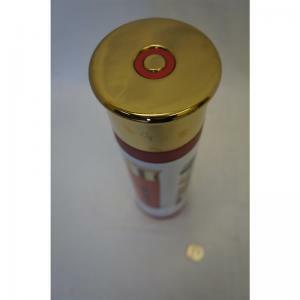 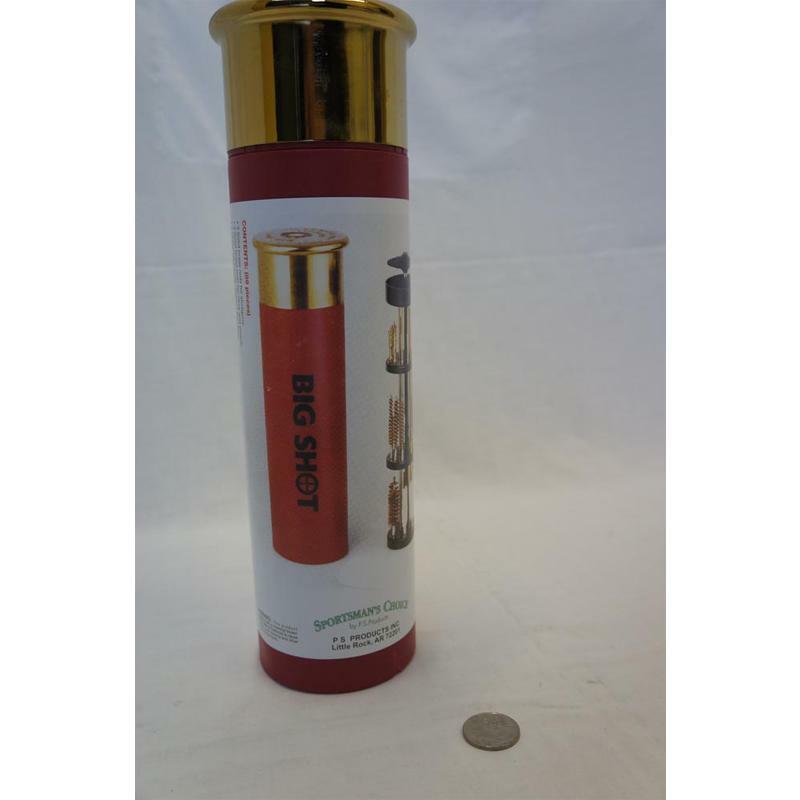 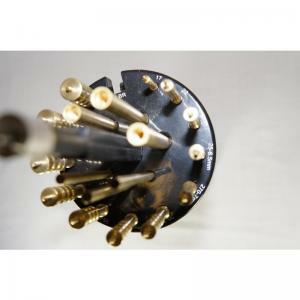 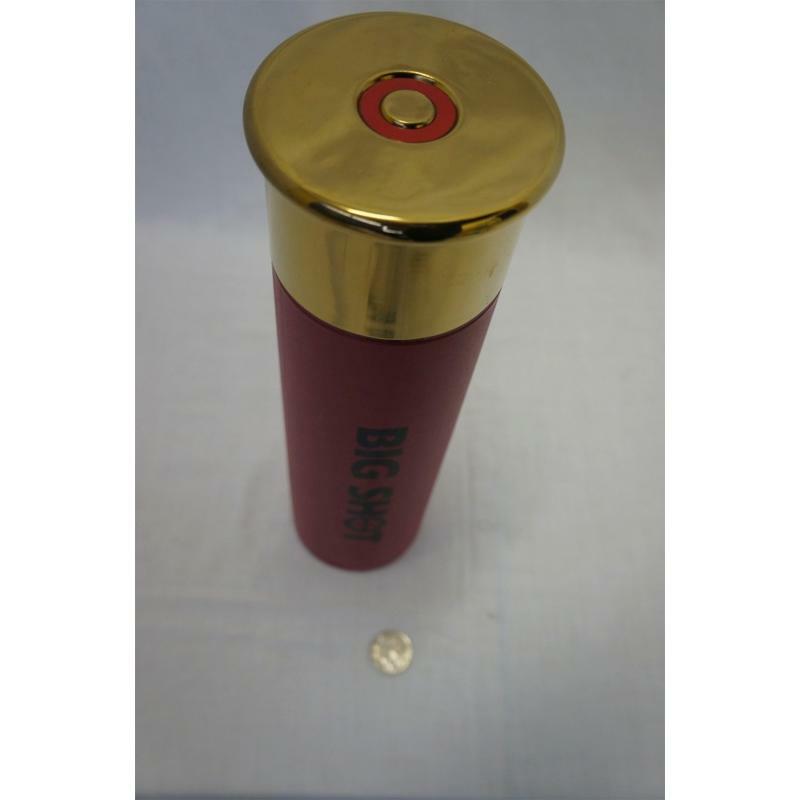 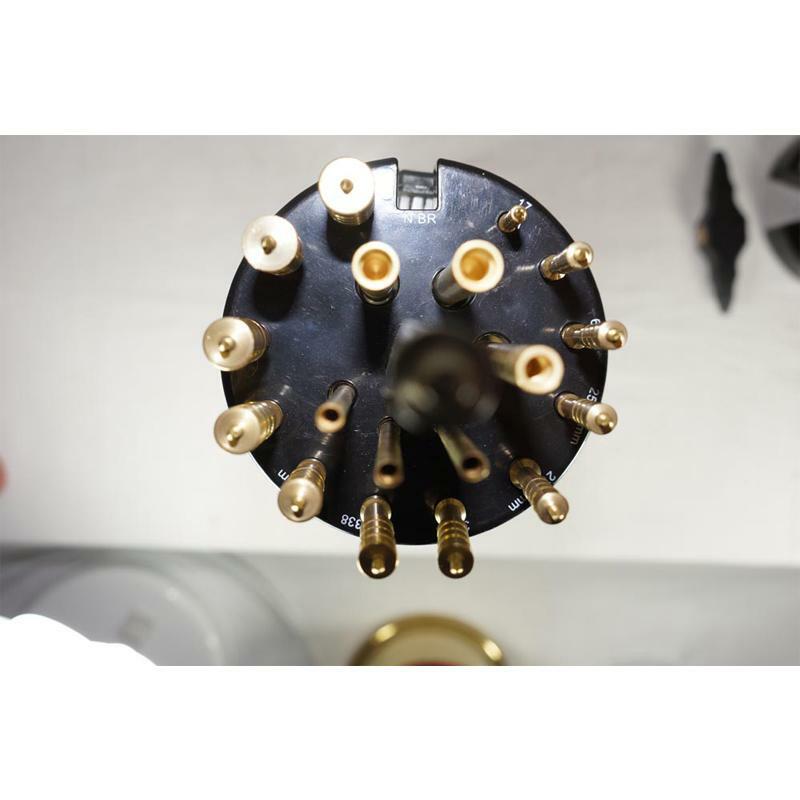 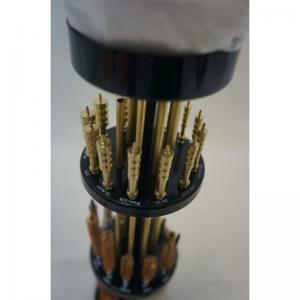 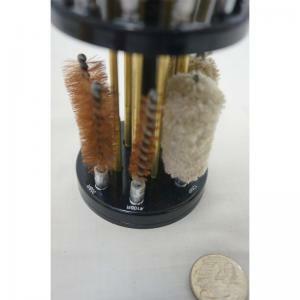 2 Solid brass adaptors for Shotgun brushes/mops and rifle/pistol brushes/mops. 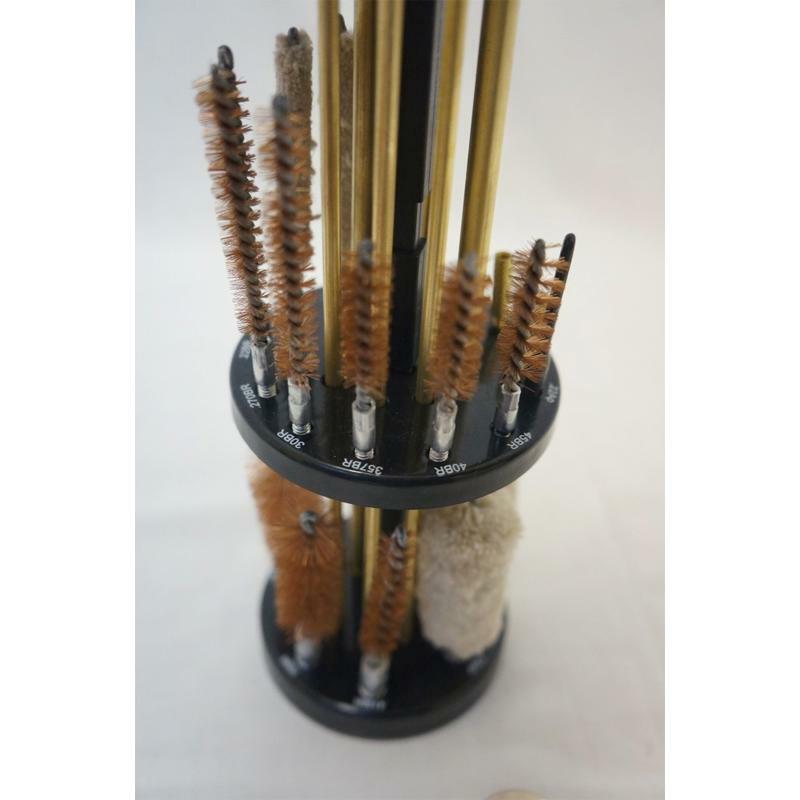 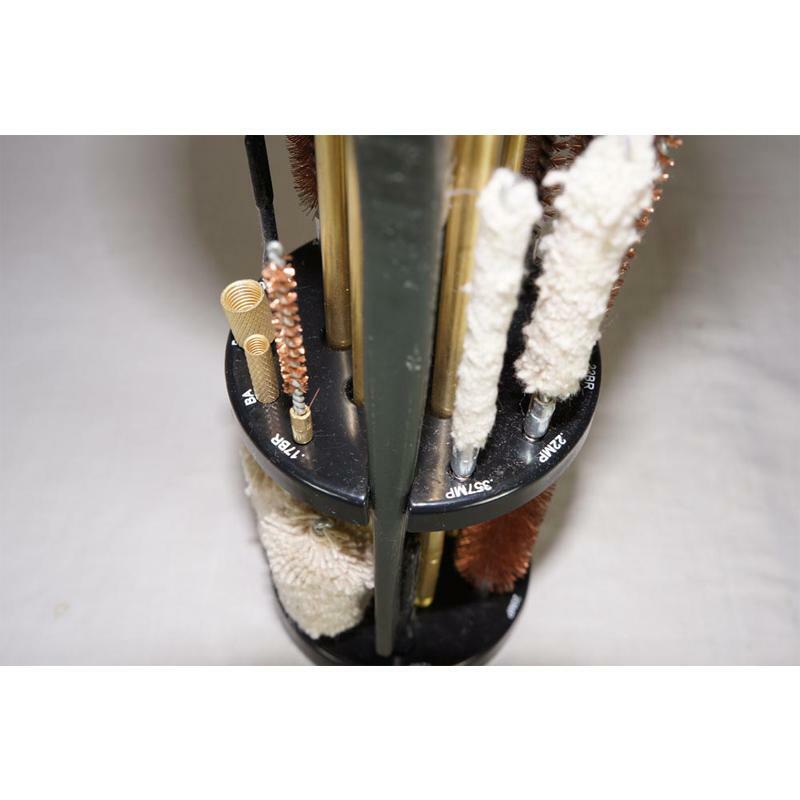 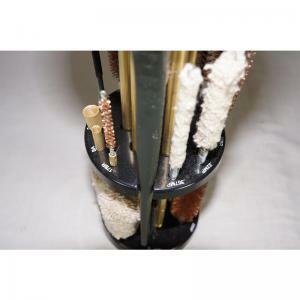 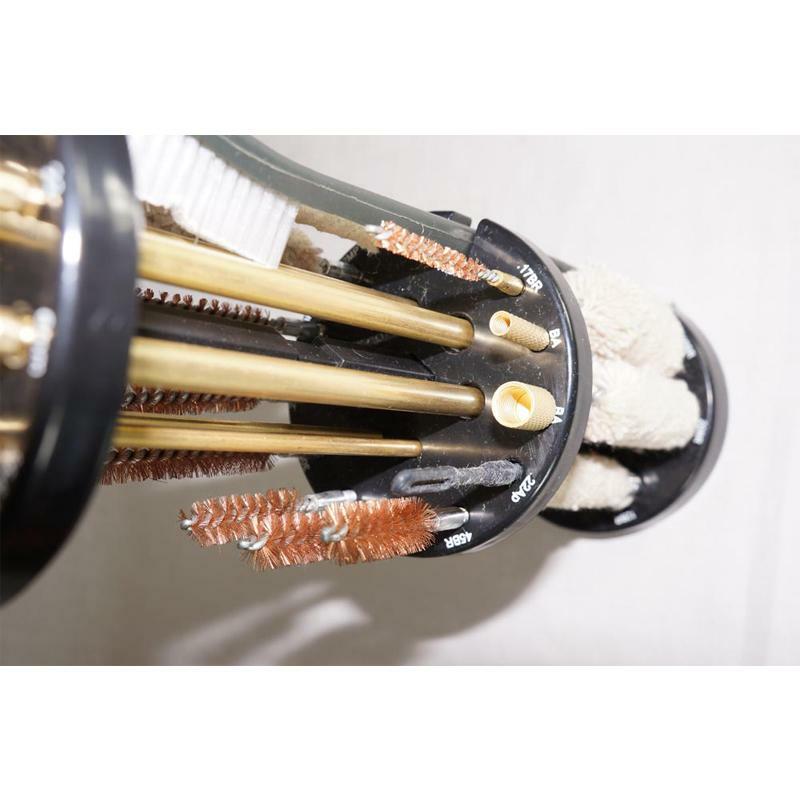 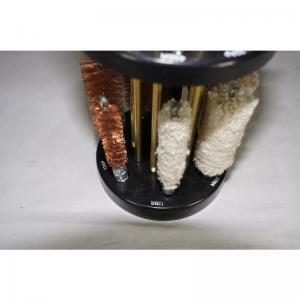 10 Brass wire brushes to fit 12 gauge, 20 gauge, 410 gauge, 45 cal., 40 cal., .22 cal.. 17 caI., .357/.38 cal./9mm, 30 cal. and 270 cal. 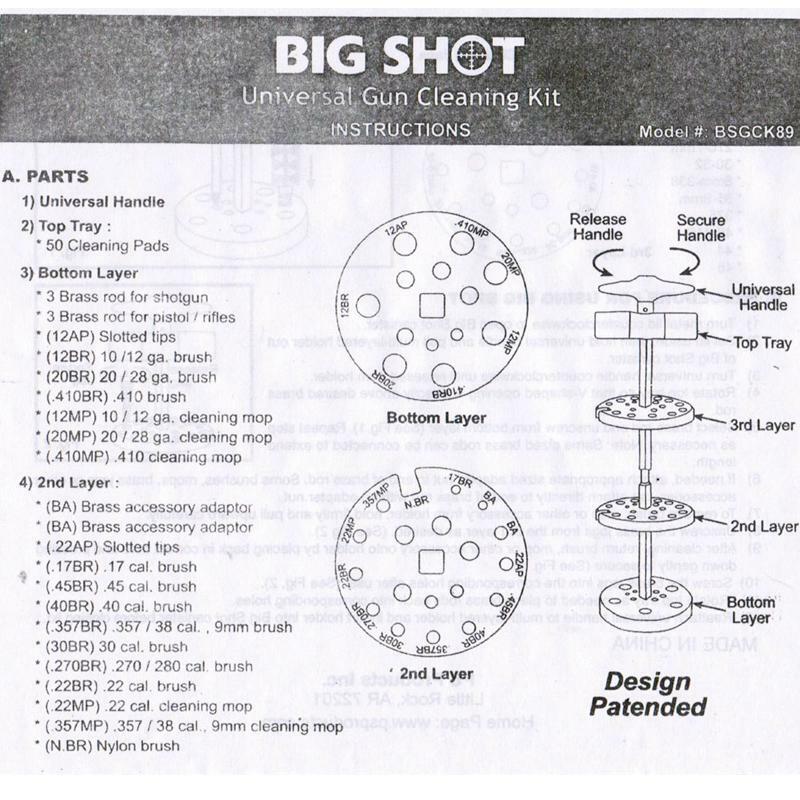 5 Mops to ﬁt 12 gauge, 20 gauge, 410 gauge, .357/.38 cal./9mmand .22 cal. 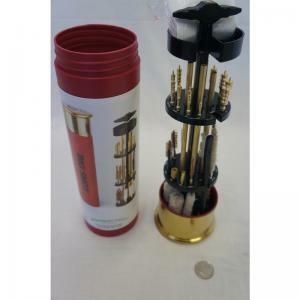 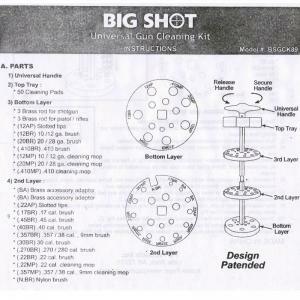 2 Plastic slotted ends for Shotguns and RifleslPistols. 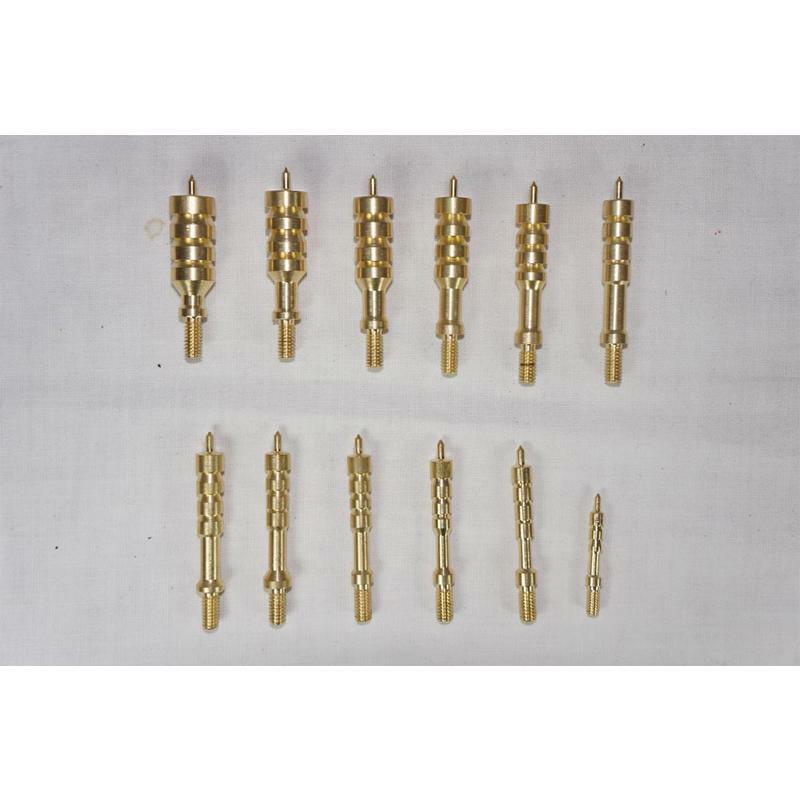 12-piece Solid Brass Cleaning Jags: 17, 22, 6mm, 25-6.5mm, 270-7mm, 30-32, Bmm-338, 35-9mm, 375, 40-416, 44 and 45.